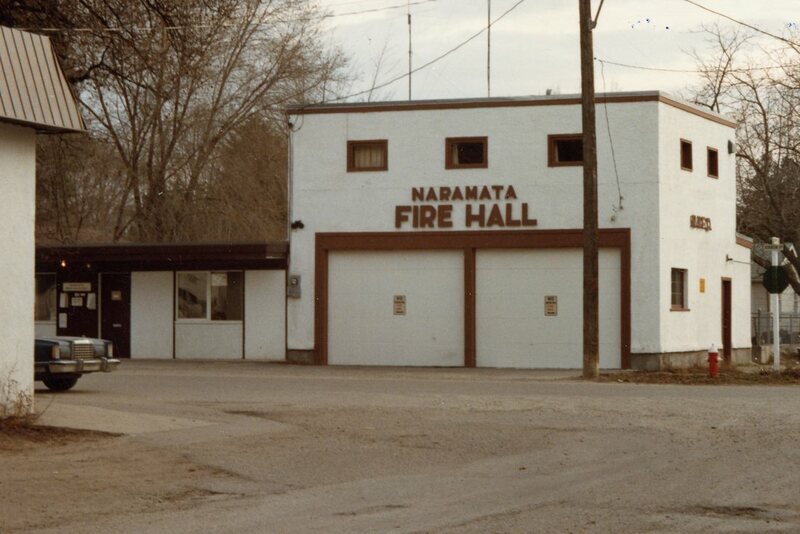 (Extract from "Smile of Manitou" by Don Salting): From the beginning, Naramata had a hand-drawn hose cart but it proved all but useless in fighting the early fires. 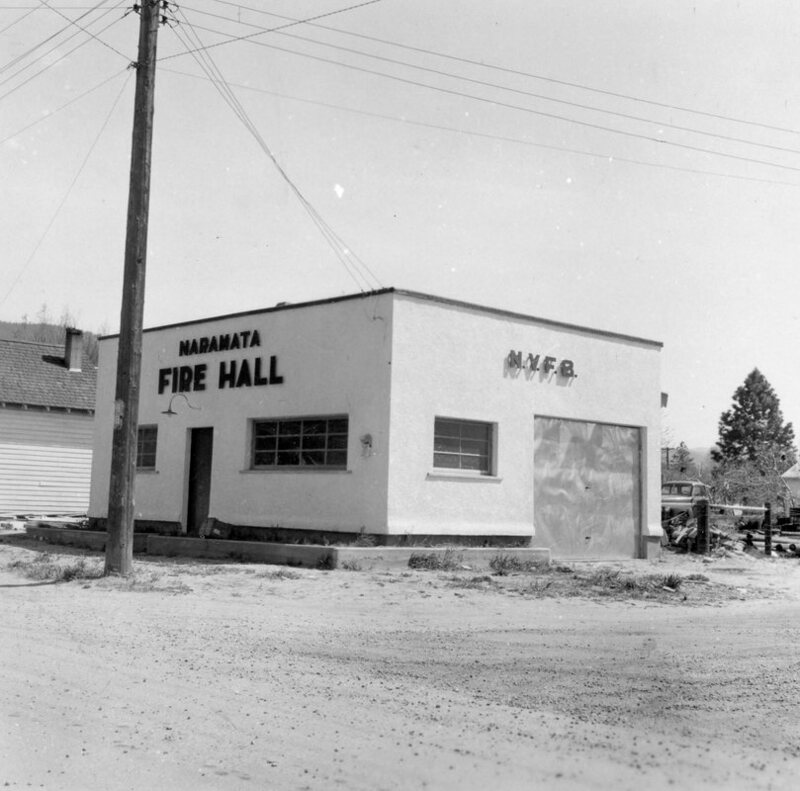 Naramata is very fortunate not to have been leveled by fire as many early communities were. Being convinced that the local water system was inadequate to handle any emergency, Mr. Aikins purchased a bright brass-clad fire engine from the Vancouver Fire Dept and parked it at the base of the cliff on the lakefront. It was soon discovered that it was built more for looks than efficiency. It was sold to the Penticton sawmill and was lost in a fire in the 1940s. 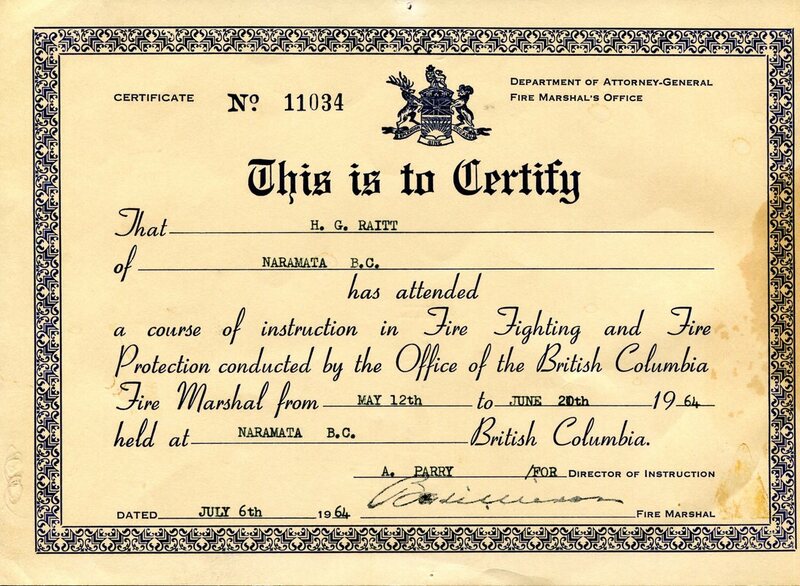 In 1948, a volunteer fire brigade was started and another hand fire truck was purchased, but it wasn't until 1965 that an up to date truck was obtained. By 1978 a comprehensive hydrant system, siren and additional machinery ensured proper protection.